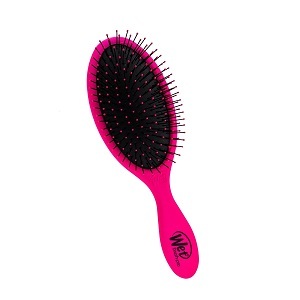 The Wet Brush is specially formulated with IntelliFlex bristles. IntelliFlex bristles are thin, strong and very flexible. They have intelligent flexibility – flexible on one stroke and firm on the next. The IntelliFlex bristles eliminate all tugging, tearing, pulling and ripping. They provide healthy brushing and detangling with no split ends or hair loss.